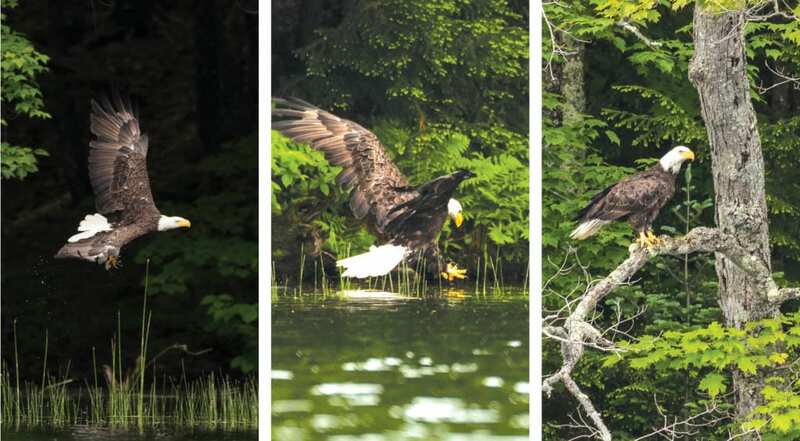 A bald eagle was out looking for breakfast on Kent Pond in Killington the morning of June 13. With an eagle-eye, patience and a stroke of luck, this early bird of prey caught a fishy feast in one fell swoop. Good catch! The same can be said of Killington photographer Paul Holmes, who captured these awe-inspiring shots.